Everyone starts somewhere. By its very nature, homebrewing is an amateur niche. If you’re a denizen of the internet and you’ve done even a little research, you’re either a trigger pull away from brewing today or so scared you want to switch to Malort for the rest of your life. 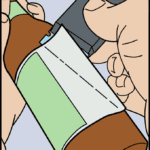 Luckily, Thirsty Bastards has you covered. 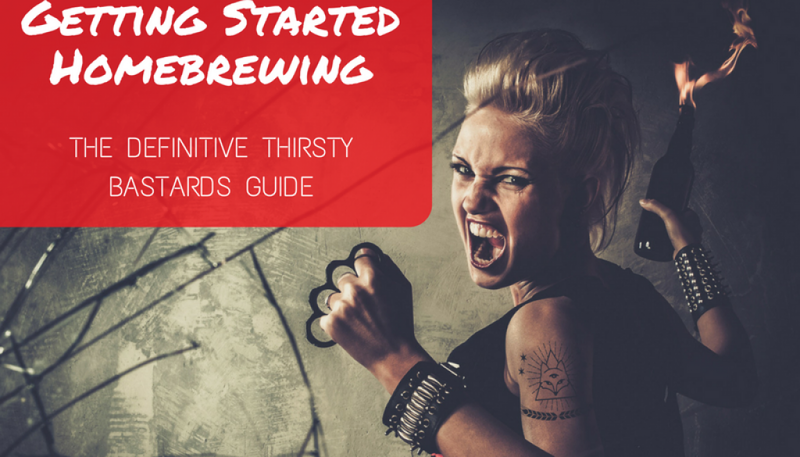 Below is a carefully curated list of tools and resources to help you get started brewing your first beer. This post contains affiliate links, which means that if you click on one of the product links, Thirsty Bastards may receive a percentage of the sale. This has not influenced our recommendations. In fact, we seek affiliate agreements after exploring content to recommend. How-to guides are indispensable for getting started. 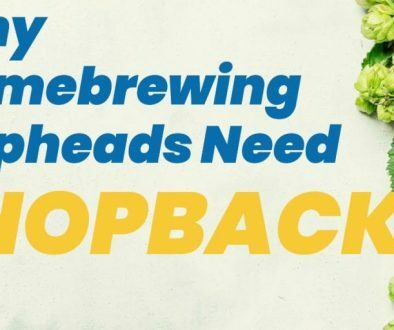 You need simple steps and clear language to pop your homebrewing cherry. These sites provide the best. I know, I know… You’re chomping at the bit to brew the next barrel-aged imperial coffee IPA so the next time you show up at the local bottle share, all the ladies swoon and for some reason, each step you take sounds like spurs and tumbleweeds. Slow down, hombre. Start with the basics and take it from there. News flash: Your first painting isn’t going to be the Mona Lisa. Let’s make a Warhol knock-off first! Before you start brewing beer, it’s really easy to suffer from “analysis paralysis”. There’s SO MUCH information out there, what’s the best source for beginners? These are some recommended books and magazines guaranteed not to paralyze you. We recommend that you buy the non-Kindle editions of your books. You don’t want to get hot wort on your expensive tablet! The title of this book might sound like it holds recipes for homemade hallucinogens, but what this book provides is something very important to the beginner - perspective. 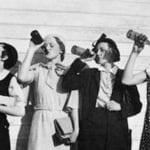 Before you get obsessed with sanitized, clean-room environments and carefully-controlled, meticulous records, it’s helpful to know how beer was traditionally made. Charlie Papazian is famous for his quote, “Relax. Dont worry. And have a homebrew., but this book, especially the appendix “The Ancient Magic of Making Beer”, will set your mind at ease. 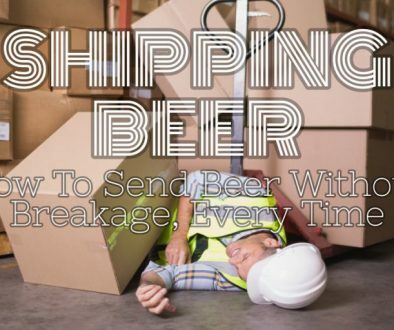 It’s just beer and you won’t be the first person to screw it up. Go away, kid… No, wait. Get back here. I forgot the purpose of this post. Start local, of course. Use the search tool below to find a shop nearby and them know you’re just getting started. Those stores love beginners. Make sure you’ve printed a list of equipment you need and crossed off the things you already have (like stock pots, funnels, blood-encrusted ice picks, etc.). If you can’t find a local store within an agreeable distance, try the online retailers below. You are welcome to spend as much money as you’d like on the first round of brewing equipment. A lot of beginners don’t want to spend much and most of you want to spend as little as will get you started. Luckily, we have found the suppliers that will deliver the best kits for beginners at reasonable prices. Most homebrewing guides and recipes are calibrated toward five-gallon batches. We recommend starting off small with 1 gallons and using as much of what you already own to fill out your kit. At the very least, a little record keeping can go a long way. Planning your recipe on paper and laying out the steps is a good way to stay on track and make your first beers successful. Have a look at some of these tools and worksheets before you brew and see what you like. There are designated spaces to record grains, hops, and other ingredients as well as recording measurements you take during your brew day. At 5″ x 7″, you can stop shuffling through scraps of paper to find what you are looking for from past brews. Finally, this hobby does occasionally require that you do some math. Sorry. Luckily someone smarter than you created these brewing calculators to help make your job even easier. Lazy noob! While there are quite a few pieces of software out there for helping you brew beer, few of them are aimed at the beginner. That’s the nature of the software beast – you stand out by adding as many features and appealing to the widest audience. With this in mind, we recommend you start your homebrewing career without using software or apps. 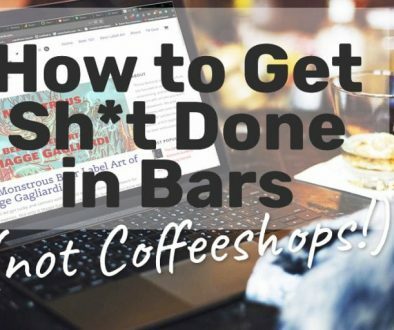 Once you get a few batches under your belt, you should start to play with some of the free apps that are out there and find one that helps you in your mission. That said, some calculators might be useful, just to see what the moving parts look like. If you’d like to see what’s involved with homebrewing software with no obligation and without even installing anything, we recommend Brewer’s Friend.